Yet another fall/October/Halloween related post! So if you’ve been keeping up with my posts than you’ll know that I recently went pumpkin picking at Stony Hill Farm in Chester, NJ. I picked up two little pumpkins for painting here as did my boyfriend. 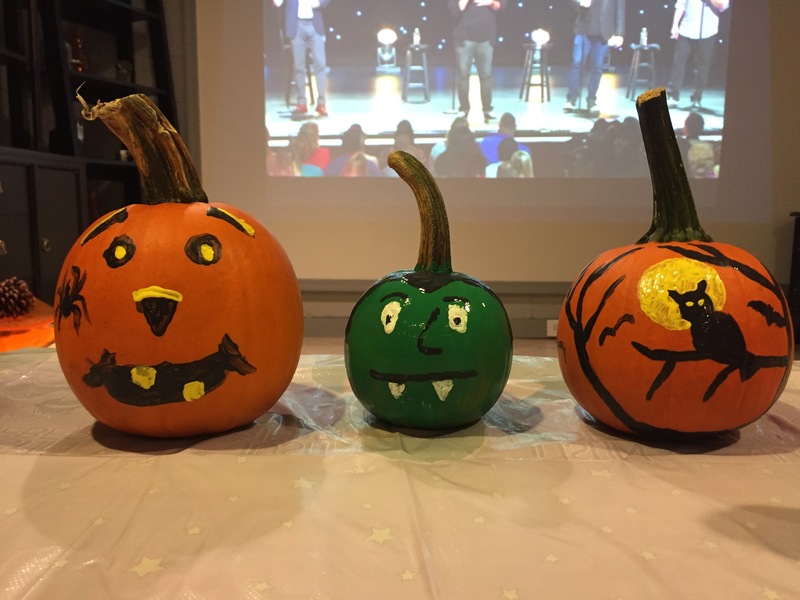 We got together one night, put on a movie and decided to paint our pumpkins. 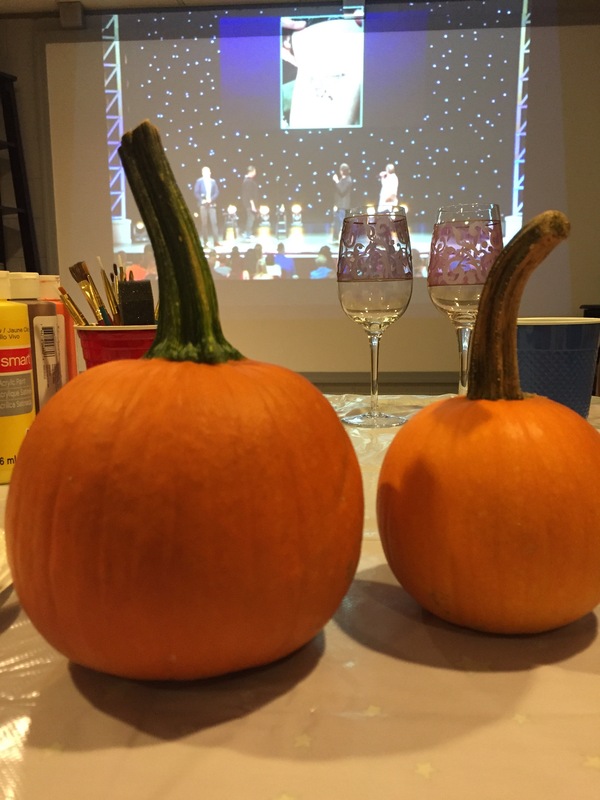 I went for two very different approaches when it came to painting my pumpkin. For one pumpkin I did a bare tree with an owl on it and for my other I did Frankenstein. 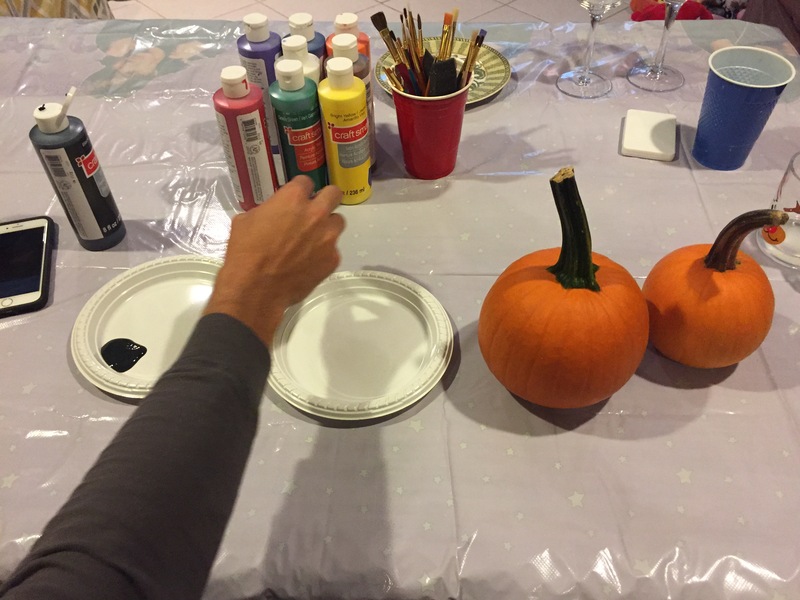 For some reason, I was very impatient while painting my pumpkins so I didn’t outline my image nor did I wait for it to dry before putting another coat of paint on it. By being so impatient some of my paint ran or didn’t come out as pretty but it looks good enough to display! My boyfriend went for a simple face on the pumpkin and added a detailed spider. Overall this is a fun activity and you can be as creative or non-creative as you want. They look amazing! Great ideas for Halloween!! Please check out my blog and comment on it!! It will mean a lot!! Your welcome! Please check out my blog and comment on it!! It will mean a lot to me!! Such a cute idea! Much easier and cleaner than carving! Thank you so much! You should try it out 🙂 thanks for stopping by ! This is such a great and fun idea. Beats all the carving by far. I love it.